March was certainly a busy month for IGA-Ken! The month literally started off with the club’s successful campaign in the 14th Hong Kong Asian Kendo Open. However, upon returning to the Philippines there was no rest for us as there were many commitments for IGA-Ken in March. Here’s a rundown on what happened. A few days after that, it was the turn of the Arena Dojo members to do a demo, this time during the 7th Philippine Cosplay Convention in Robinson’s Place Ermita. They showed kata, basic waza and samples of uchikomi and jigeiko to an appreciative audience of cosplayers and curious mall-goers. In the middle of the month, IGA-Ken had a joint project with the Japan Foundation Manila Office. IGA-Ken members from both the Arena and Dasma Dojo made their way to the Pacific-Star Building in Makati to conduct a one-day workshop on the basics of Kendo. This was the Oshaberi Salon for March 2014. In the last demo of IGA-Ken this month, once more the Arena and Dasma Dojo members joined forces to present Kendo to the participants of the Nishimura Cup (Karate-do Tournament) held in Sta. Rosa Laguna. We would like to thank Ms. Angela Cabra and Dennis Aquino-Sensei for inviting us to this event. Finally we had a LOT of new beginners come in this March, both in Arena and Dasma. We hope that all of them will learn a few things in the course of their training. The most immediate lesson will be how HOT Kendo can be during the Philippine dry season. Dasma Beginners listening to a lecture. Photo care of Mr. Alain Austria. Arena Dojo Beginners being shown the ropes. Photo care of Igarashi-Sensei. 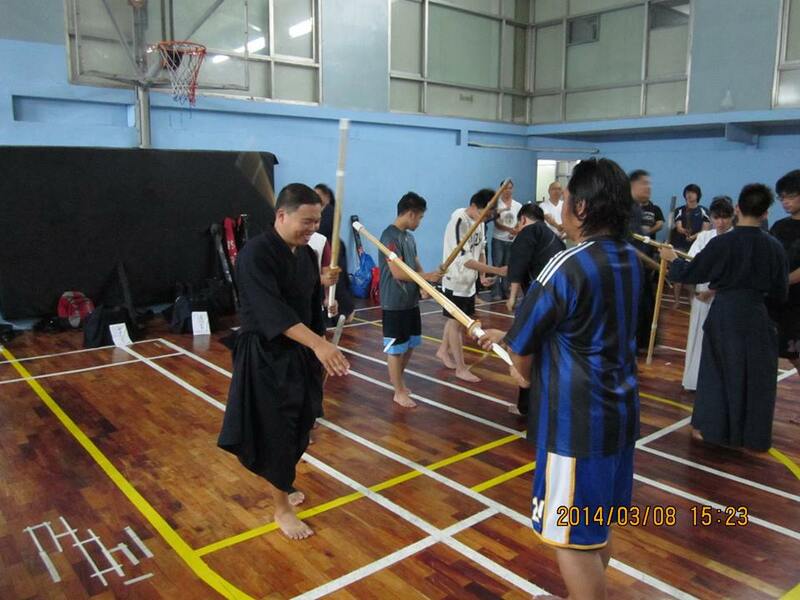 This entry was posted in About, Events, Instructors, Kendo, Recruitment, Socials, Stories / Testimonials, Uncategorized and tagged Arena Fitness Inc, beginner, Dasma Dojo, Dasmariñas, dasmarinas village, demo, demonstration, Dojo, Iga ken, Iga Kendo, IGA Kendo Club, Igarashi, Igarashi Sensei, International School Manila, jigeiko, kata, keiko, kendo, Martial arts, Oshaberi Salon Pictures, workshop. Bookmark the permalink. ← The 14th Hong Kong Kendo Open: IGA-Ken Surpasses Expectations Yet Again!